The Cinnamon Social team, accelerating at the NMotion startup accelerator in Lincoln, Nebraska, has discovered that having a social media strategy isn’t enough. Beyond that, they’ve even found that just pure aggregation isn’t enough either. Companies need to find what people are having conversations about, and then have a way to engage those conversationalists. Cinnamon Social is doing that with their product called Cinnamon Post, which is built on technology they call voice intelligence or VI. Cinnamon Post and the VI technology are able to analyze and identify the content that creates conversations. It can then assist users by adding the company or brand’s voice into that social conversation, closing the gap from pure aggregation. We got a chance to talk with Cinnamon Post co-founder Holly Petersen in our latest Startups In The Fastlane interview. In this series we talk with startups that are currently going through a startup accelerator, giving our readers and community a true feel for acceleration. Check out our interview below. What is the name of your startup? The name of our company is Cinnamon Social, and our product is called Cinnamon Post. Over the last several years we’ve discovered that it’s not enough to help businesses strategize their social media efforts. You can have a GREAT strategy and not know how to use it or what content to post each day. Companies of all sizes struggle with this. Cinnamon Post is a software designed to solve this problem. We not only zero in on a companies industry-specific content, but we also analyze the content that creates the conversations with their followers so that we can produce more of the content that matters and that generates relationships and loyalties. From there, the software takes an additional step in that we put a companies posts/tweets etc. into their brand/company voice. We like to call it, voice intelligence (VI). VI is an additional and important step that our algorithm incorporates into the intelligent content that’s produced for our customers. Content is king, right? Content is awesome, but that’s only if you’re posting the right content – the kind of content that generates discussion. This translates into followers, shares and so forth and ultimately visibility for businesses. Social media is all about relationships and only extremely soft sells are welcome in social media, so businesses need to take a calculated approach and maintain consistency and the integrity of their brand when they venture out into social media. Companies are starting to realize finally that social media isn’t going anywhere and if they want to continue to compete, they need to get on the social media train and take is seriously. Tools are starting to emerge now for content. Adobe has an enterprise level content tool and an accompanying analytic suite and so does RallyVerse, but this really isn’t what Cinnamon Social is interested in doing. We really want to focus on quality content and how it’s delivered (VI), keeping it simple and straight forward to use. Companies like BuzzSpice, which is in beta right now and a company called Content Gems more closely match what we’re trying to do. Our secret spice, as we like to call it is our voice intelligence. Coupled with our precision content, our algorithm can weigh what’s important to customers and what they find attractive, in essence. Based on this, the content suggestions get more intelligent and when you further dial that down to delivery in their branded voice – you’ve got some seriously tasty content! Where are you/were you based before NMotion? We are and have been based in Lincoln, NE. We’ve been marinating on this tool for a while, the timing and how best to deliver it. 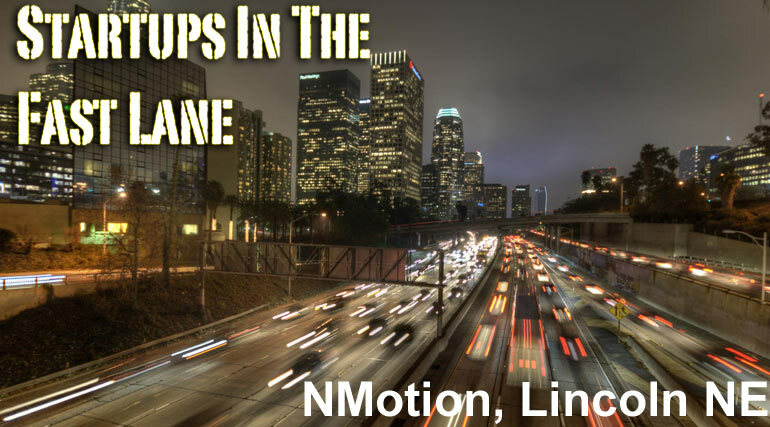 Businesses need this tool now and the NMotion program is providing the rigorous accountability and tools that our team needs to deliver our solution in the leanest, quickest and most flexible approach possible. What’s one lesson you’ve learned since the NMotion session has started? Keep moving! Every day matters, especially in the in the world of technology. You can visit our website at cinnamonsocial.com and our various social media feeds at facebook.com/cinnamonsocial and @cinnamonsocial.